Titanium Grade 5 Bar manufacturer, ASTM B348 Ti Gr 5 Bright Bar, Titanium ASTM B348 Grade 5 Round Bar, ASTM B348 Gr5 Titanium Square Bars, Grade 5 Ti Cold Finished Bars, Titanium Grade5 Hot Rolled Bars, Suppliers, Exporters, Mumbai, India. Titanium ASTM B348 Grade 5 Round Bar, ASTM B348 Gr5 Titanium Square Bars Stockholder, Grade 5 Ti Cold Finished Bars, Titanium Grade5 Hot Rolled Bars Leading Manufacturers. 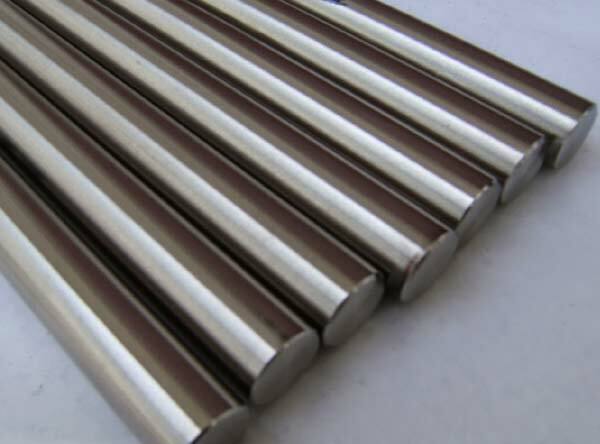 Calico Metal Ind Pvt Ltd is an esteemed company that is pretty much engaged in giving a widespread variety of Titanium Grade 5 Round Bars and Rods. We offer the same at economical prices to our consumers. Titanium Grade 5 Bars is made up from extremely small diameters of wire for welding, all the way up to larger diameters, used for flywheels and clutch. Specifications for Titanium Grade 5 Rods include aerospace, medical and industrial.